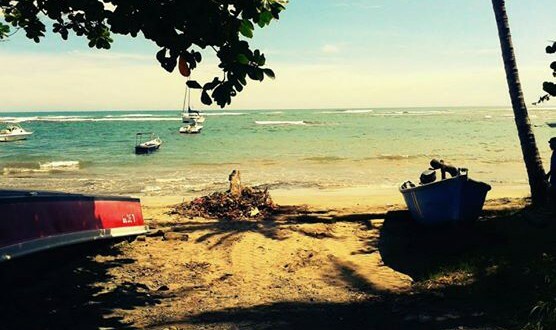 "Spanish by the Sea - Puerto Viejo"
Set in a lush tropical garden of fruit trees and hammocks, Spanish by the Sea – Puerto Viejo provides a perfectly relaxed environment for studying. The center of town is within a short walk from the school. 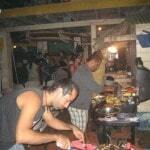 There you will find restaurants and bars as well as the beach lined with fishing boats and artisan markets. 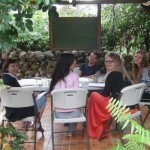 The School & Hostel can accommodate 12 students, has 3 open-air jungle classrooms and dependable free Wi-Fi throughout. Read here how we work with you to teach you Spanish! 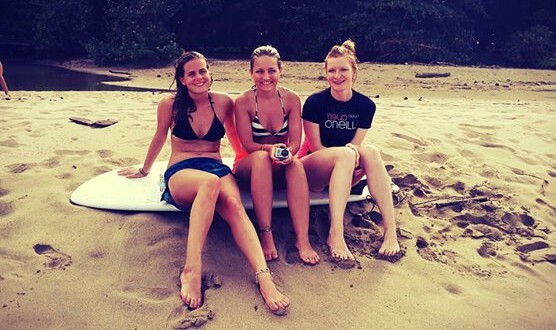 Who likes to study at Spanish by the Sea – Puerto Viejo? Sea lovers, surfers and socialites! 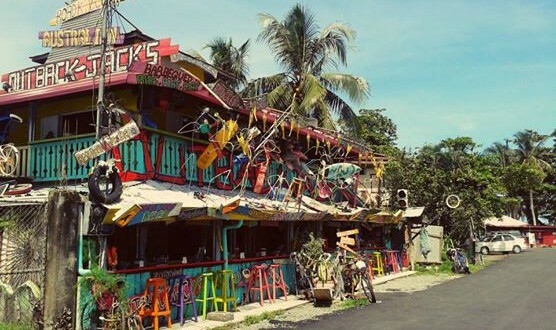 This small yet lively beachfront town is popular among world travellers for its laid back rasta-reggae vibes, late-nite parties, the area’s spectacular beauty, and world-class surf breaks. 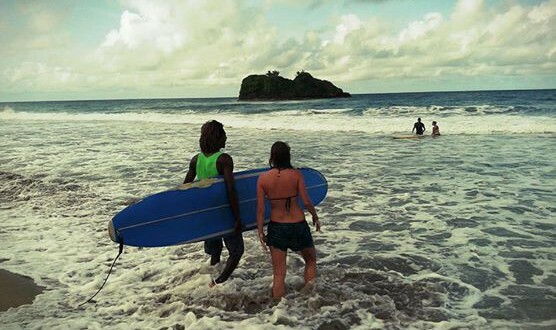 The surfing attracts both pros and beginners alike with the least expensive locally instructed lessons offered in Costa Rica. For more relaxed activities, we also offer an extensive list of free volunteer opportunities ranging from child-care, flora and fauna conservation, to education to indigenous peoples. Nightly live music; reggae, calipso and reggaeton. Laid-back, no-rush and easy living. *When only one student with this level: 3 hrs private (same price). *When only one student with this level: 2 hrs private (same price). Staying with local families give you the opportunity to practice the Spanish language much more than if you would only take Spanish classes. You will not only be part of the family but also of the whole neighborhood and you will be observing a complete different way to live than what you are used to! 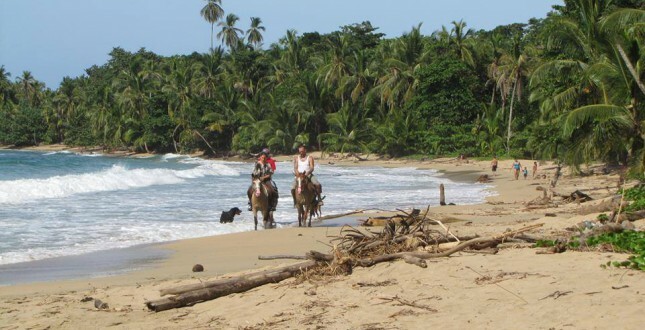 In Puerto Viejo, the local people have Caribbean roots and are famous for their family ties, great food and welcoming lifestyle! 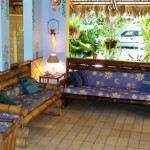 Maybe our hostel is full or you prefer to stay in town instead of the countryside-jungle setting of our own hostel. Maybe you want a bit or a lot more luxury. No problem! 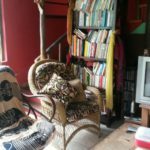 To make sure you have some more inspiring options, we selected for you one budget hostel, one middle-priced hotel and one luxury hotel in Puerto Viejo or it’s surroundings. 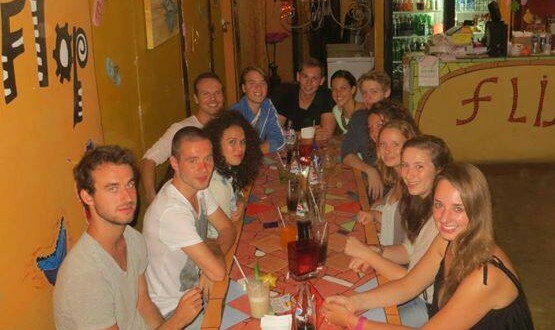 Dinners, parties and going to the local bars and discos are a great way to get to know your fellow students, relax and have some fun. So don’t miss the get-togethers during the week and especially on the weekends! 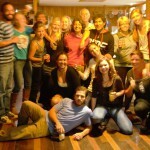 Panama City, Bocas del Toro and Puerto Viejo offer vibrant nightlife every day of the week. In Boquete and Turrialba it is generally more centered around the weekend. Indigenous people are those with the earliest historical connection to the places they inhabit. Often they are isolated from modern civilization, which has both positive and negative implications. Access to modern health care and education is limited, but their culture and way of life is most often pristinely intact. Visiting an indigenous community can be among the most eye-opening experiences you, as a traveller, can have. 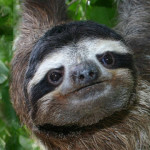 Sloths are originally from North America but now are only found in Central and South America. 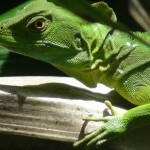 They hang onto branches while they feast on the leaves that other animals can’t reach. Walking on the ground is difficult for them, so they spend most of their time in the trees, eating and sleeping. The only times these mammals leave their tree is to use the bathroom and to take a swim (imagine .. they are excellent swimmers!!). 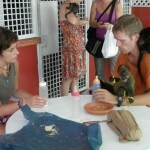 The Sloth Sanctuary is dedicated to the rescue, rehabilitation and research of sloths. 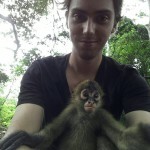 A wild animal rescue center is dedicated to rescue and rehabilitation of wild animals. Some wild animals are taken out of their natural habitat by humans in order to use them as pets or with the intention to save them. Once they are abandoned, wild animal rescue centers want to teach them and help them retain natural wild behaviors so they can be returned to their natural habitat. These centers are also great places for people to appreciate wild animals and become willing to participate in nature conservation and education. It’s so easy to be happy on the beach: beautiful views, the feel of the hot sun on you skin, a refreshing swim, an afternoon with friends. The beach is also a great place to truly unplug from your life because electronic screens don’t work that well in the sun! 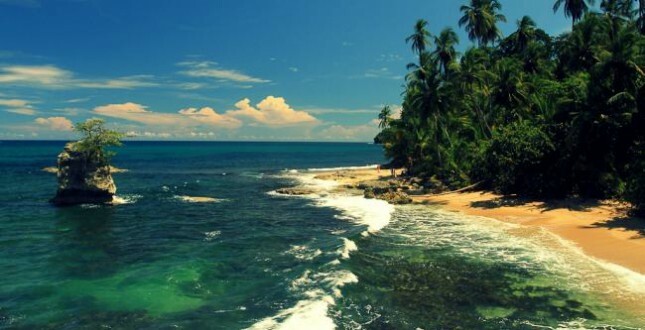 Costa Rica and Panama have stunning beaches on both the Pacific and the Atlantic coasts. Some are quiet with no facilities others are a bit more busy with small places to drink or eat. Once you get into dancing you realize what you have been missing .. you´ll remember you have a body, you have fun, it is cheap and you can meet interesting people. 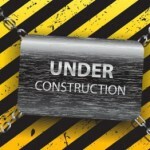 The hormone dopamine will be released and activate the learning centers of you brain .. so much needed to learn Spanish! You can learn salsa, merengue, bachata, cha-cha-cha and reggaeton. ¡A bailar! At all schools, every Friday, we organize a potluck barbecue in which the school provides some drinks for all guests and all participants bring some food to share. Various international dishes are often sampled at these barbecues. It is a nice way to finish a week of studying Spanish, connect and celebrate! 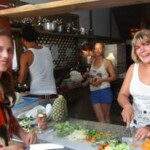 What is a better way to study Spanish than learning all about the food, flavors and how to prepare tasty local dishes? Let’s combine the classroom with the kitchen and not only learn Spanish words for the ingredients and commands like ¡mezcla! but also prepare gallo pinto, arroz con pollo or bananas flambé and make sure you immerse yourself in the culinary culture of Costa Rica or Panama and enjoy some delicious food! Much simpler than scuba diving, snorkeling is something you can do without much practice and it requires only minimal equipment. Also, you don’t need to be a strong swimmer to be able to see what’s underneath the surface! Something new is deep boarding. With your mask and snorkel on, you’ll be dragged along behind a speedboat on a rope, holding onto a clear plastic semi circle. By tilting the board up or down, you go under the surface or emerge from the water to take your next breath. Just another way to enjoy the underwater world! A healthy body is a happy body and one of the best ways to achieve this is to get plenty of exercise. Hiking is an economical way to increase your activity level, while offering plenty of health benefits. Hiking through a beautiful area in our unique locations can als calm your nerves and lift your spirits. Hiking with a group provides an excellent opportunity to learn about tropical ecosystems, socialize and exchange ideas with others! 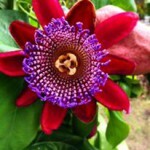 Visiting a Botanical garden is a relaxing activity that will leave you in awe of nature’s beauty. 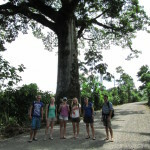 You also will learn about the natural history of the country. You will see a large collection of plants and trees with their flowers, seeds and fruits as you have a peaceful stroll along laid out paths. “Theobroma cacao”, also called cacao tree is a small tree native to the deep tropical regions of Central and South America. Its seeds, the cacoa beans, are used to make cocoa mass, cocoa powder and chocolate. While cacao is no longer used as money, it plays a central role in cultures around the world today. Lot’s of people believe that chocolate is good for a happy and healthy life and global production of cocoa is climbing 2 percent each year! Horseback riding in the past was the only way people travelled through the countryside. 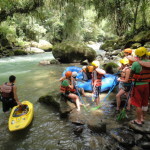 It´s a very special activity because not only is it enjoyable, fun and relaxing, but you also get an up-close view of the beautiful natural surroundings. 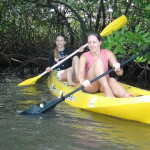 While riding you can enjoy an abundance of flora and fauna. During a trip of a few hours you will establish a relationship with your horse and make you feel connected with nature! Surfing is a highly addictive water sport and one of the most popular boardsports ever invented. There are over 20 million surfers in the world and the number is growing fast. Riding a wave is a breath taking experience that compels the surfer to forget about the daily struggles and reconnect with the present moment. 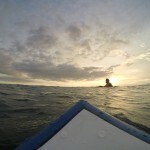 The connection to the ocean and its elements, coupled with the mental, physical and often times spiritual aspects of the sport, lends itself naturally to healthy living. This, and the virtuous blend of salt, sand and sun have without a doubt a positive impact on the overall happiness of the surfer. Yoga is an ancient practice with origins stretching back thousands of years in India. It is designed to help achieve a more positive outlook on life and a focused, permanent sense of serenity and peace. Yoga is a fantastic workout. It gets you in touch with your body, improves your sleep, your posture, physical and mental strength. Well, you just have to start and find out for yourself how doing yoga can change your life! Scuba diving will give you see a window to a fascinating world seen only by a few. The underwater world is very peaceful and quiet so you can empty your mind and just let yourself be amazed. 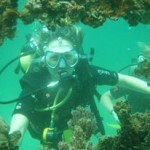 Scuba diving is not an extreme sport and the only skills you need are being able to swim and … breathe! Due to the unique nature of this sport, a specialized course is required to participate. Help with the protection of the sea turtles by educating and improving the living conditions of the local community! 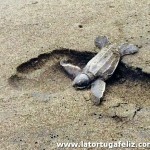 Conservation and protection is focused on the endangered leatherback and green turtles. The participation of volunteers both contributes directly to protection of the nesting areas and to improvement of living conditions and the education of the local inhabitants. 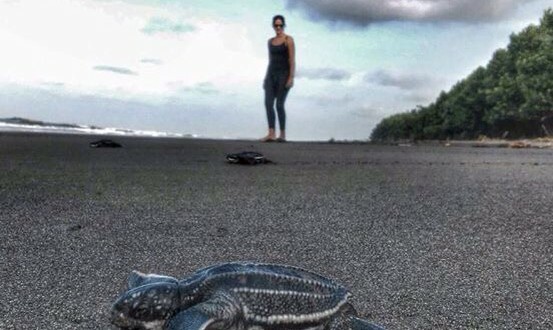 By helping to generate an income for the locals through an affordable volunteer program, the aim is to eliminate the necessity for them to poach the turtles and their eggs. 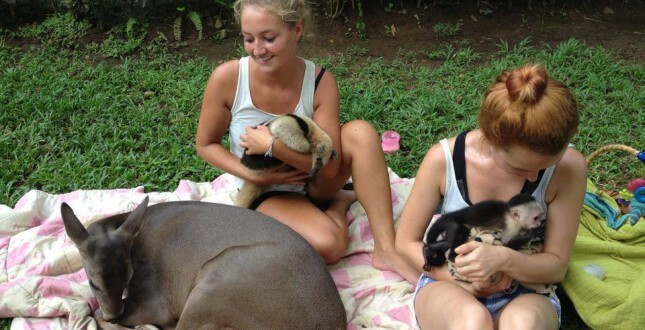 Volunteering in a rescue center for wild animals provides an opportunity to learn about wildlife! Some wild animals are taken out of their natural habitat by humans in order to use them as pets or with the intention to save them. 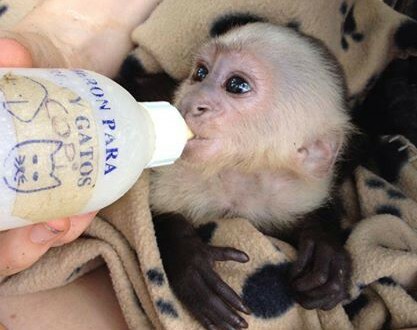 The rescue center takes care of the rehabilitation and reintroduction of these wild animals into nature! Most animals stay for a limited amount of time, until they are ready to return to the wild. 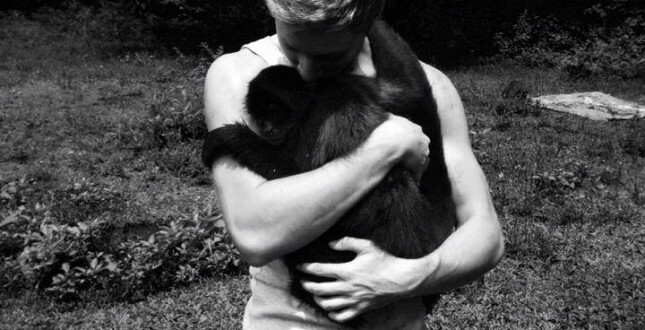 Others will not be able to go back to the wild due to their poor physical condition. The center makes sure they have a comfortable and happy life! 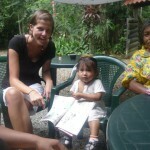 Doing volunteer work with indigenous people opens your eyes to a different world! In Costa Rica, indigenous people make up 1.7 % of the total population. 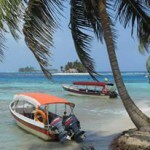 In Panama, they make up between 5 and 8 % of the total population. Official discrimination does not exist in these countries, however education, health care and land property are sectors where they are still less favored. These are areas where volunteers can provide needed benefits. If you are a horse lover, you probably want to spend as much time around horses as possible! If you enjoy helping out with the day to day care and training of horses, this volunteer opportunity is for you! You will have the chance to learn about horse language, horse personalities and the basics of riding. 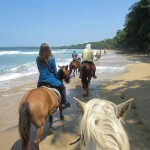 You will also have the experience of spending time with the horses and having direct access to places of breathtaking beauty! Spanish speaking people often have a basic grasp of English grammar, but you can help them improve their pronunciation skills! By providing conversational English classes you can greatly enhance the learning experience and the future prospects of thousands of children and adults. As you assist with the local curriculum, your students will enjoy learning about you and your culture. You will have the option to volunteer in a school setting or in some other community initiative.